Looking for safe online arcade games? If you take your time and look around the Internet, you will find what you need. The Internet has a lot to offer, but not all of it is safe for kids. Many video games are graphic and violent and not necessarily suitable for young children. As parents, we cannot shelter them from everything, but strive to try to help guide them in the right direction. So what should you be concerned about when allowing your children to play online arcade games? Be wary of giving away any personal information, such as passwords or e-mail addresses since they can lead to a lot of unwanted spam, e-mail or fraud. You should also not allow your kids to download any "cheat" programs that claim to help with game play, since it could bring in viruses or other hazards to your computer. Miniclip.com is filled with safe online arcade games. Find action, sports, multi-player, puzzle, platform, retro and racing games. Many teachers have used this Web site as a reward to students. It also features videos and the television schedule for all of these classic favorite cartoons. Safe online arcade games are easy to find if you know where to look. Use the links above as a good starting point. Also be aware of Web sites your kids will visit that ask for personal information such as e-mail or passwords. 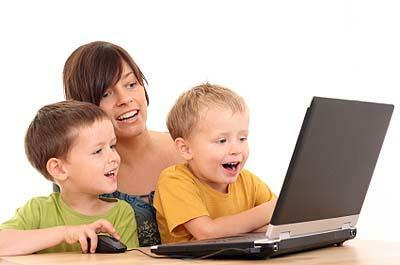 With a little research and awareness, your children's online gaming experience can be a safe and fun event.